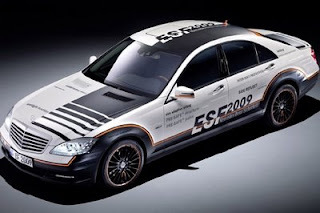 "Apparently not content to simply build a hybrid vehicle that's both energy-efficient and luxurious, Mercedes has now gone the extra mile with its new 2009 S-Class ESF concept, which packs more than a dozen different safety features including airbags inside and out. That latter outside-the-car airbag is actually a giant braking bag that deploys under the car when it "senses an imminent crash," which not only creates some added friction to slow the car down, but lifts the front of the car up about 80mm to compensate for brake dive. Other uncommon safety features include curtain airbags between the seats, airbags in the seatbelts, reflective tires, and "inflatable metal structures" throughout the vehicle, which apparently both saves space and increases crash protection. Unfortunately, there's no word on any further improvements to the hybrid side of things, but Mercedes' existing S400 Hybrid isn't exactly too shabby of a place to begin with." FF: "Airbag deploys under the car? seems fun~ :)"
"Hong Kong ranks second behind Osaka in Asia among the world's easiest cities to live in. But Hong Kong ranked far behind the 13th place Osaka secured in the Economist Intelligence Unit's liveability poll. coming in at joint 39th with Madrid. Singapore was even further back at 54th, while Seoul was four places behind the city-state. Vancouver is the world's easiest city to live in while Harare is the toughest. Canadian and Australian cities hold six of the top 10 slots in the Economist Intelligence Unit's liveability poll, which ranks cities on five factors: health care, stability, culture and environment, education and infrastructure. ''At the other end of the ranking, most of the poorest-performing locations are in Africa or Asia, where civil instability and poor infrastructure present significant challenges,'' said the survey's authors. At the top end of the global easy-living scale, Vienna is in second place followed by Melbourne, Toronto, Perth, Calgary, Helsinki and Geneva, with Sydney and Zurich in joint ninth place. Tokyo is at joint 19th with Frankfurt. European cities where life is generally not hard include Stockholm and Hamburg, Germany, in 14th place, as well as Paris in 17th spot, Frankfurt in 19th, Copenhagen in 21st and Berlin in 22nd. ''With the exception of high scores in Australasia and some Asian centres, most of the better-scoring locations are based in the more developed regions of western Europe and North America,'' said the study." FF: "For living YES, but i wanna go clubbing in London :)"
"There's a new product page for Windows 7 on the Microsoft Store. 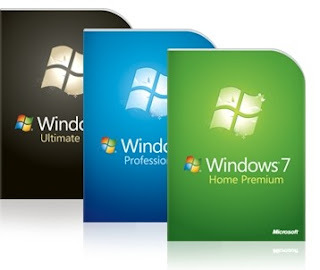 And while there's no word on official pricing yet, there are pictures showing what the Windows 7 retail packaging will look like. And wouldn't you know it, it looks exactly like the leaked images that were first found floating around the web last month. The product page also has a list of reasons to buy the new operating system, including the fact that it's faster and more responsive than Vista, allows users to stream media over a network, and has a a new and improved taskbar. No surprises there, but I have to agree, these are all pretty good reasons to upgrade from Windows Vista, as are the other highlights listed on the product page. Whether they'll be enough to get holdouts to upgrade from Windows XP remains to be seen." FF: "The boxes of the newest version of Windows... so exciting :)"
"Here's real piece of pop history – as one of Michael Jackson’s three children is unmasked for the first time. Jacko’s head might be partly hidden under his brolly. But elder son Prince Michael I, 12, faced up to full scrutiny as the two walked through the parking lot at a Los Angeles recording studio. His fresh-faced daughter Paris Michael, 11, was also maskless. The pair, born to Jacko’s ex-wife Debbie Rowe, got shy as they left later – once more wearing the masks that usually keep them shrouded in mystery. Enough was seen, though, to show they resembled each other but not the superstar singer, who begins his residency at London’s O2 Arena on July 13. 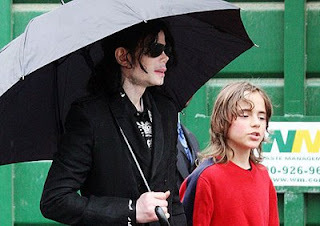 Prince and Paris surely won’t be on such display at any of the 50 gigs – while also kept from prying eyes will be seven-year-old Prince Michael II, aka Blanket, who is much darker than his siblings. But Jacko still insists he fathered all three ..."
FF: "well well well, I think he needs unmasked to play Cooking Mama"
"Microsoft has announced that Windows 7 will be commercially available on October 22nd, 2009. In other words, that's the date when you'll likely be able to walk into a store and either buy a computer with the operating system preloaded or buy a boxed version of the software to install on your existing computer. The company has been indicating that it hopes to have Windows 7 out in time for the holiday shopping season, and an October launch certainly fits the bill. But if you're in the market for a back-to-school computer this fall, it looks like you're going to have to stick with Windows Vista, XP, OS X, or Linux." 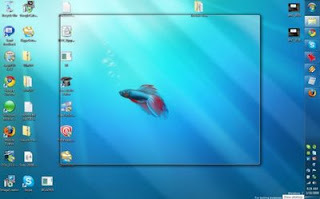 FF: "I want my new laptop preloaded with Windows 7"